I’m a little obsessed with pillows. My couches are slowly becoming piled with pillows. I like to mix and match store bought pillows with handmade. I just simply can’t resist that lovely aisle at the home decor stores and since I have bought quite a few pillows in the past few months already, I decided that a homemade one needed to be added to the mix. 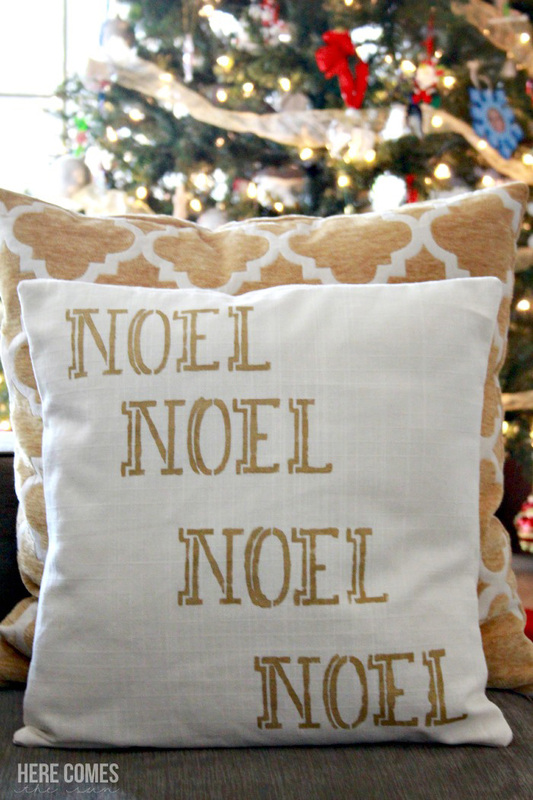 So I created a gold metallic stenciled Christmas pillow. My house is decorated in metallics this season and I knew that a pillow stenciled with metallic paint would go perfect with my decor. 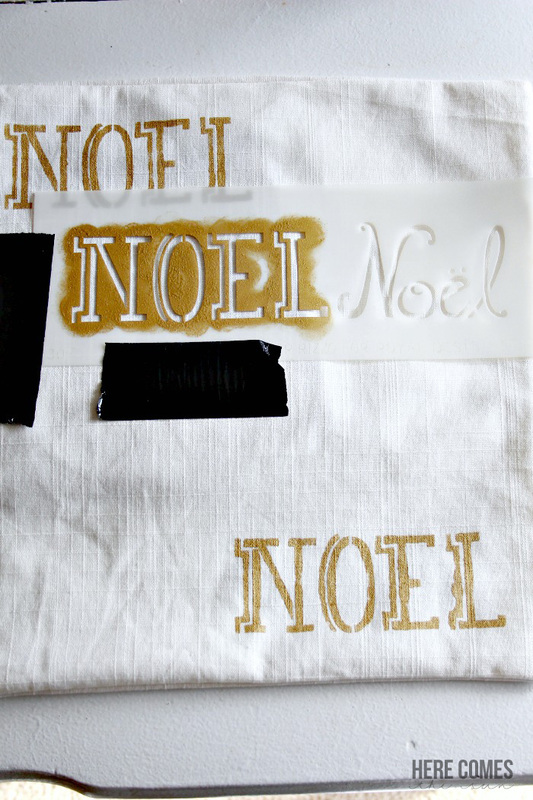 I was so excited to find this awesome NOEL Lettering Christmas Stencil from the Jennifer Rizzo Collection at Royal Design Studio. I love to decorate my house with typography and this stencil is perfect. When I make pillows, I start with a basic envelope closure pillow cover. 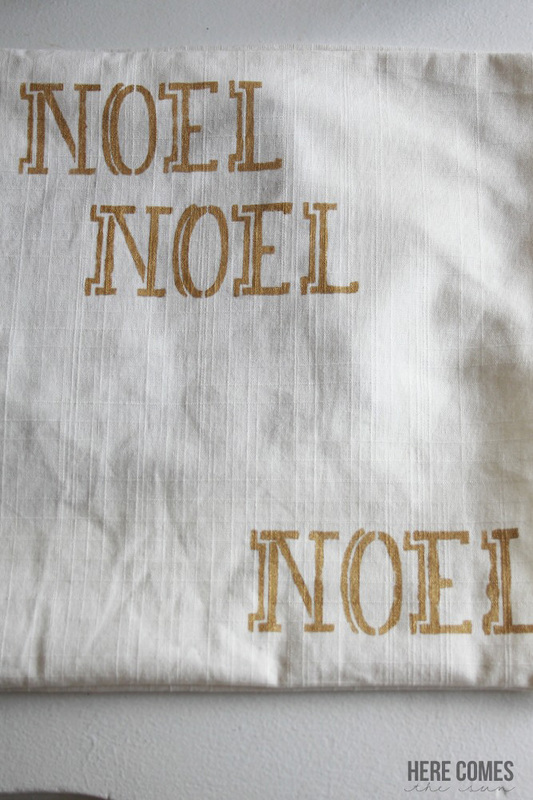 Tape your stencil to the pillow cover (or use stencil adhesive). I started at the top corner. Place a piece of cardboard into the cover so the paint doesn’t soak through. Using the stencil brush, dab paint onto the stencil. The trick here is to use as little paint as possible so it doesn’t seep under the stencil. You want barely any paint on your brush. You can see in the photo below that I used a little too much paint on the “L” in the lower right corner. When you are done with the first stencil, move down to the bottom right corner and repeat the process.This is so you can get the words as evenly placed as possible and also to avoid getting paint on the back of the stencil. Next, stencil the words in the middle of the pillow. Let your pillow cover dry fully before placing the pillow form into it. 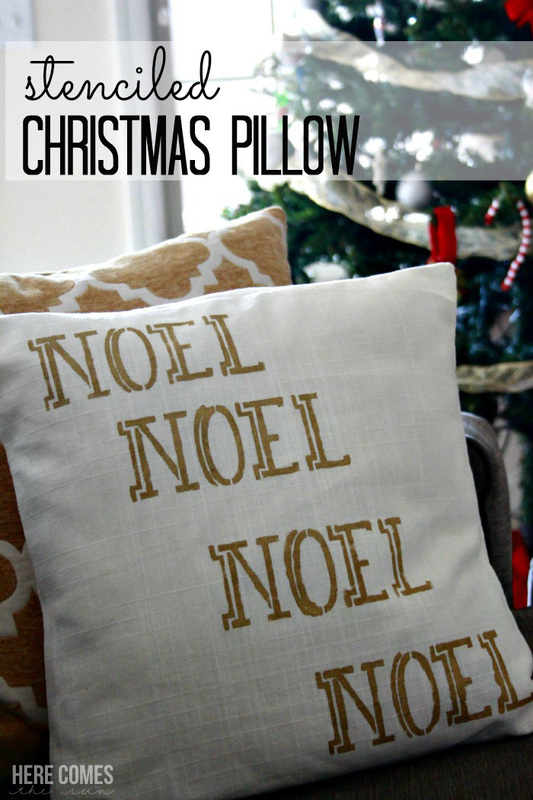 I love the addition of this pillow to my Christmas decor! It goes perfectly with my metallic theme this year. I received product and compensation for this post. However, all opinions are 100% my own. SEW cute!!! Love your “Gold” colors!!! Very cute!! Love that stencil!! Love these pillows! Perfect for the season. What a pretty pillow! Love the gold. Super cute! Love those stencils! Cute stenciled pillows! Love how it coordinates with everything else! 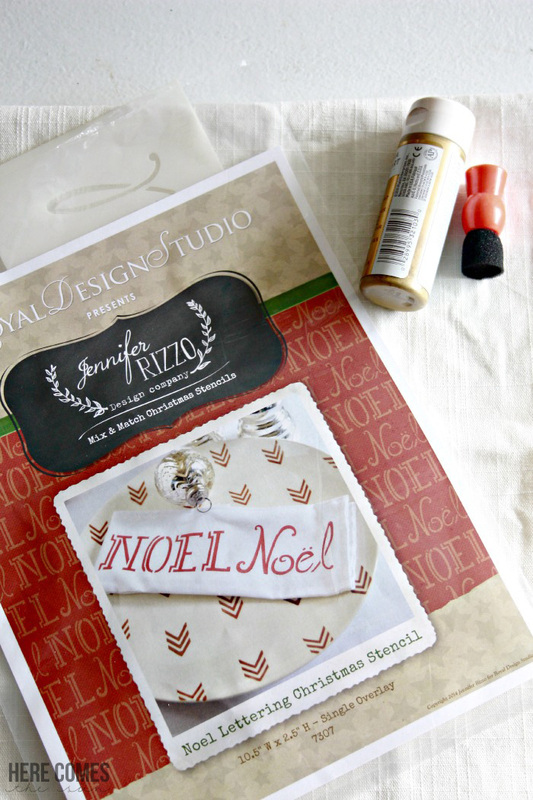 Thank you for reviewing our new Jennifer Rizzo Christmas Stencils! Thank you so much! I love the stencil!